Imagine it's the 19th century, and the colonization/conquest of the Americas is underway yet again, only this time magic is real, and the Indians have a lot more of it than the colonists. 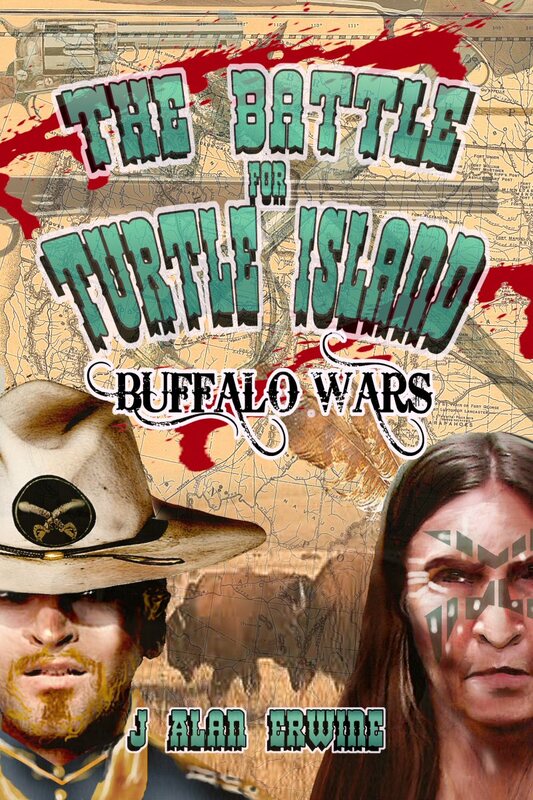 This is the world of The Battle for Turtle Island: Buffalo Wars. The colonists may have the better weapons, but the Indians nearly double the magic of the colonists. Maybe this time the history of the Americas will be very, very different. 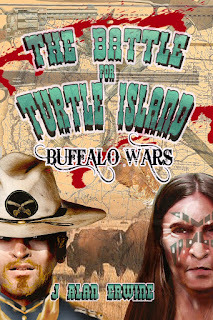 The Battle for Turtle Island: Buffalo Wars is actually two books in one. It has the core rules for The Battle for Turtle Island RPG, which will be a series of books featuring the different parts of the Americas, and it also has the Buffalo Wars supplement which looks at the battles for the plains. You can choose to be a Cavalry Soldier, an Arapahoe Medicine Man, a Colonist Trapper, an Apache Warrior, or any number of other classes, and your character can choose to change classes as they advance. This book contains, the character classes, the special abilities for each Indian tribe, the goods, the spells, and much more. The only other thing you'll need to play is some dice and a vivid imagination.